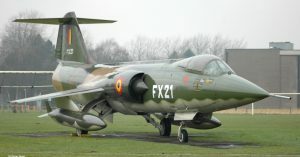 F-104G c/n 8113/23+94, preserved in aluminium paint with white wings and Belgium markings. 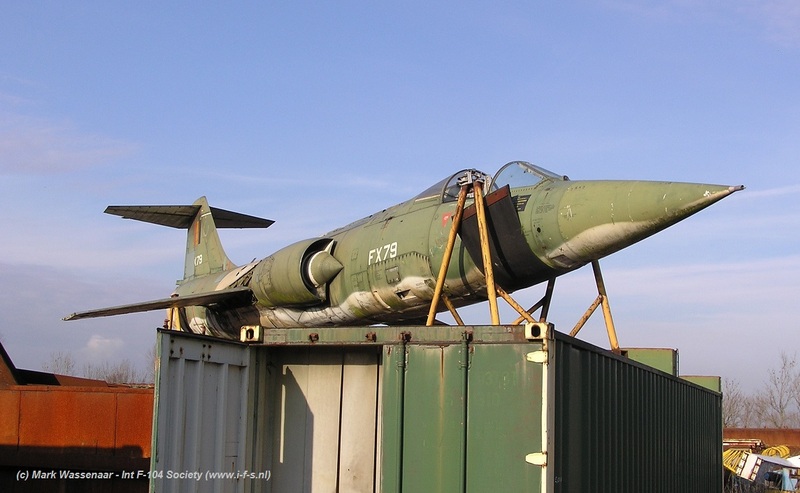 Serial is now “FX-007”. 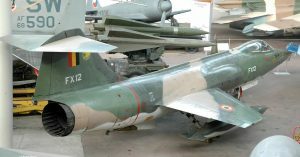 Photo shows the aircraft in previous period still clean alluminium and serial “RG-001”. 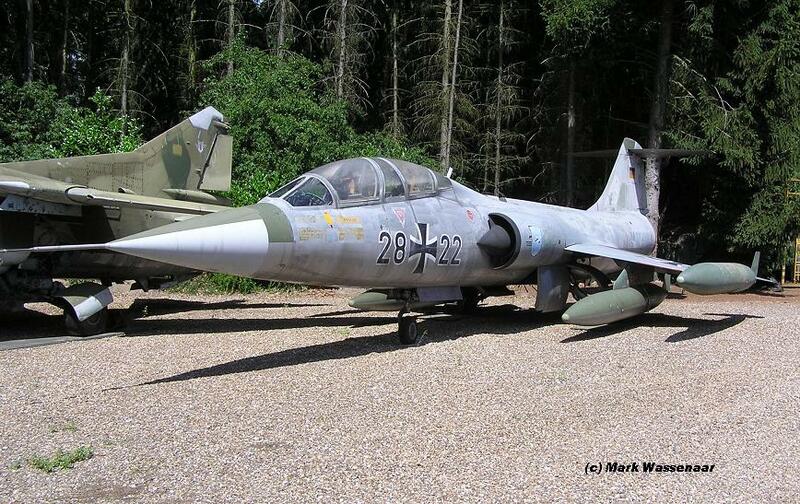 F-104G (c/n 7307) 26+47, German Air Force, preserved with JBG34 markings with company Foets in Tessenderlo. 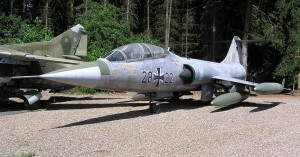 TF-104G (c/n 5952) 28+22, German Air Force, JBG34 markings, preserved inside the private aircraft museum of mr Driessen in Lanaken. 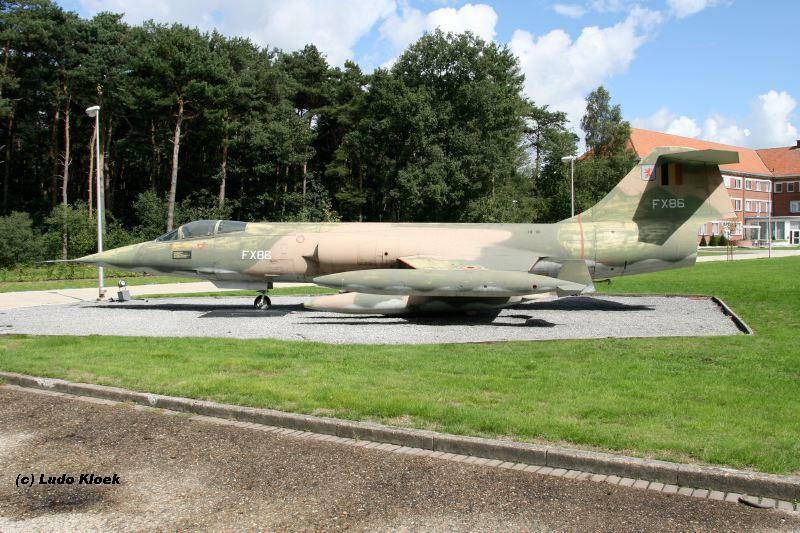 F-104G (c/n 9017) FX02, Belgium Air Force, preserved outside the Kleine Brogel Air Museum with tail from FX47. 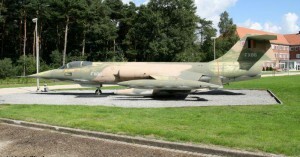 Together preserved with F-104G FX61. 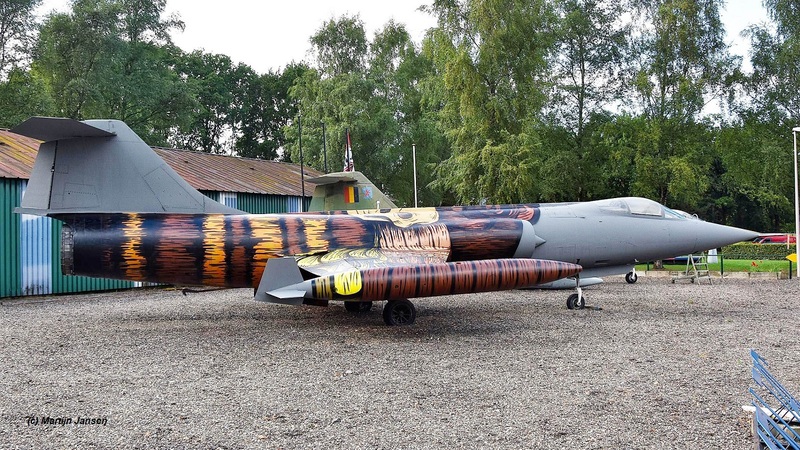 In 2017 it received a wooden-grey color scheme as can be seen on the photo taken by Martijn Jansen on 13 September. 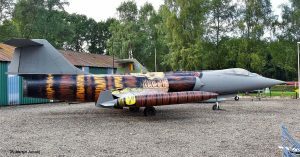 F-104G (c/n 9019) FX04, Belgium Air Force, preserved at the entrance/fence of the Bevekom Air Base Museum in old color scheme. 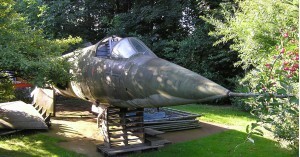 Since August/September 2008 it has been refurbished and cleaned. 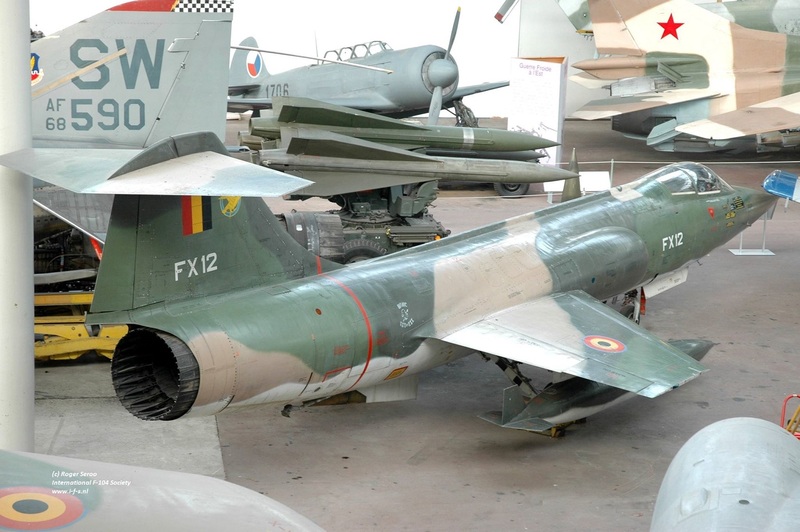 F-104G (c/n 9029) FX12, Belgium Air Force, preserved inside the Belgium Air Force Museum in Brussels. 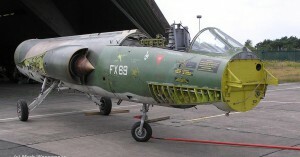 Aircraft wears markings of nr 1 Wing. 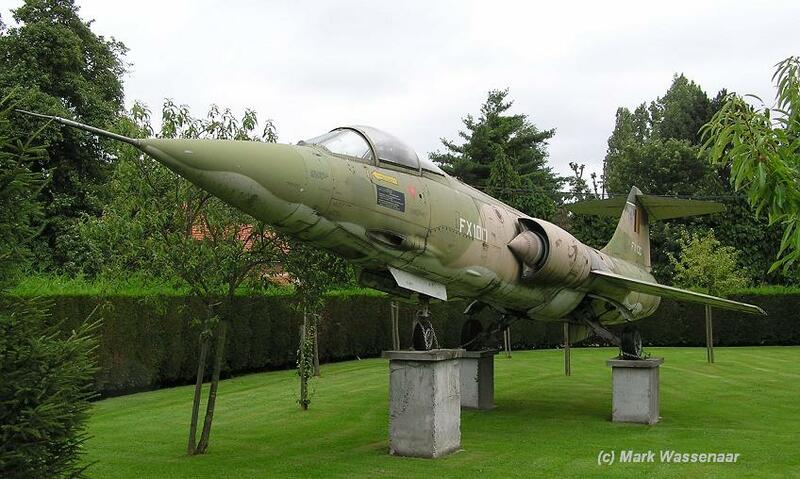 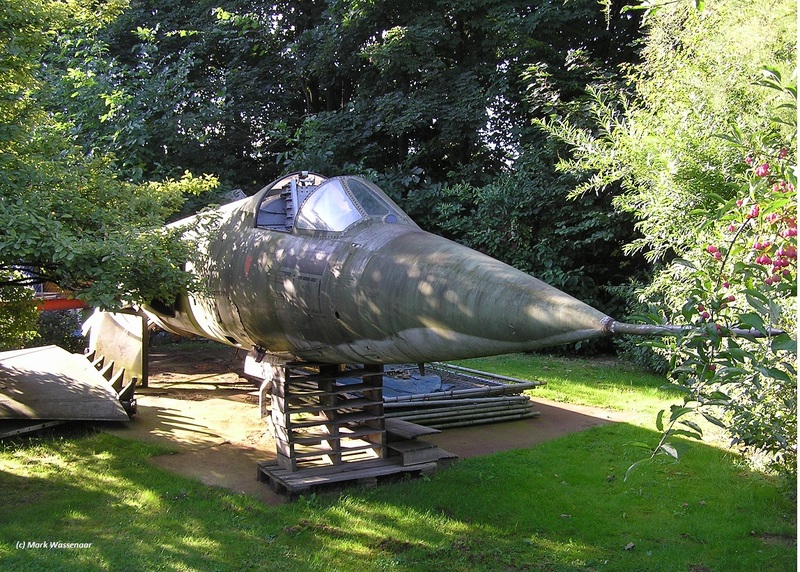 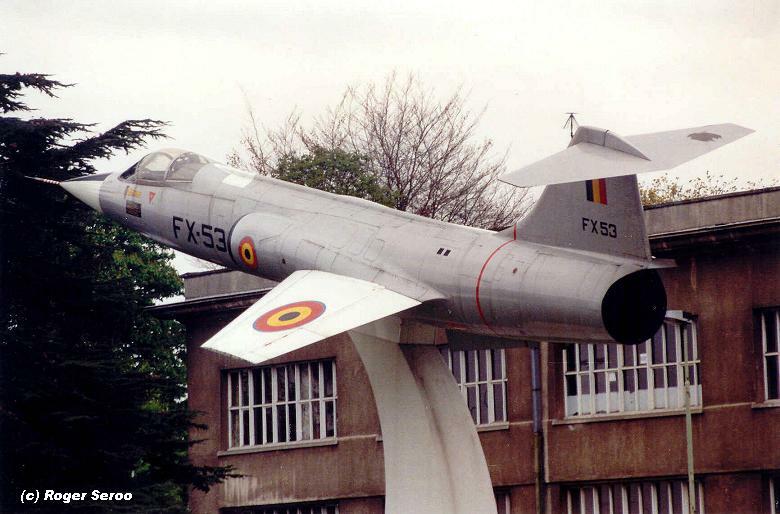 F-104G (c/n 9046) FX21, Belgium Air Force, preserved at in front of the Queen Elizabeth Head Quarter in Evere, Belgium. 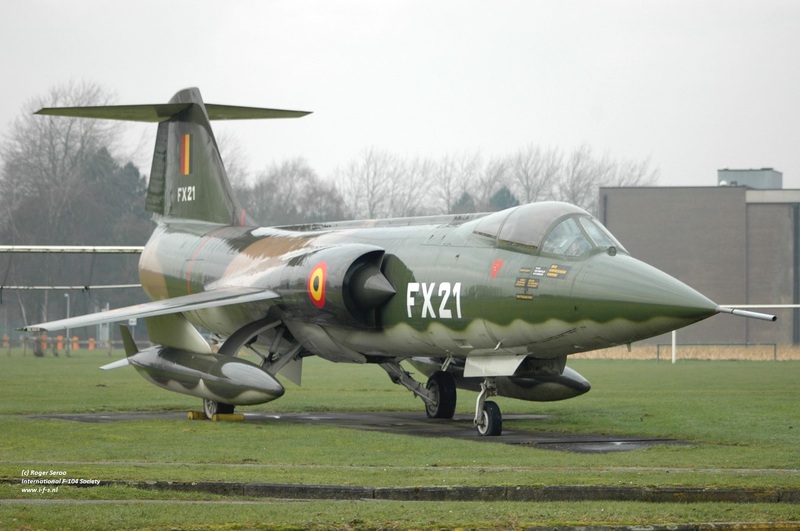 F-104G (c/n 9090) FX47, Belgium Air Force, preserved by FX47 project team at Bevekom AB, wearing early 60s color scheme. 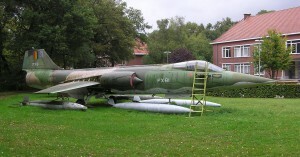 It can be found inside the Bevekom Base Museum. 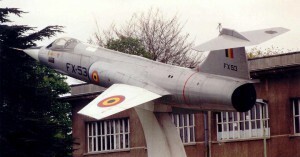 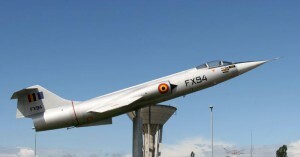 F-104G (c/n 9096) FX53, Belgium Air Force, preserved on pole as gateguard at Technical School in Saffraanberg wearing old 60s silver colour scheme. 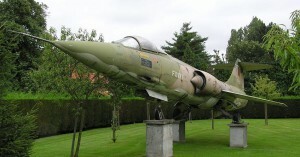 F-104G (c/n 9104) FX61, Belgium Air Force, preserved outside the Kleine Brogel Air Museum. 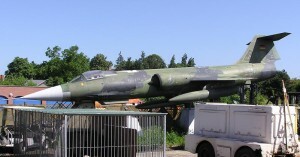 Preserved together with F-104G FX02. 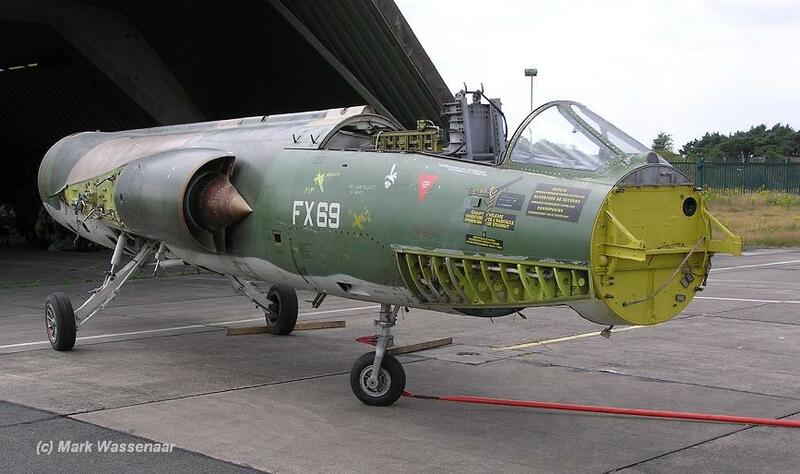 The aircraft carries tail from ex FX86. 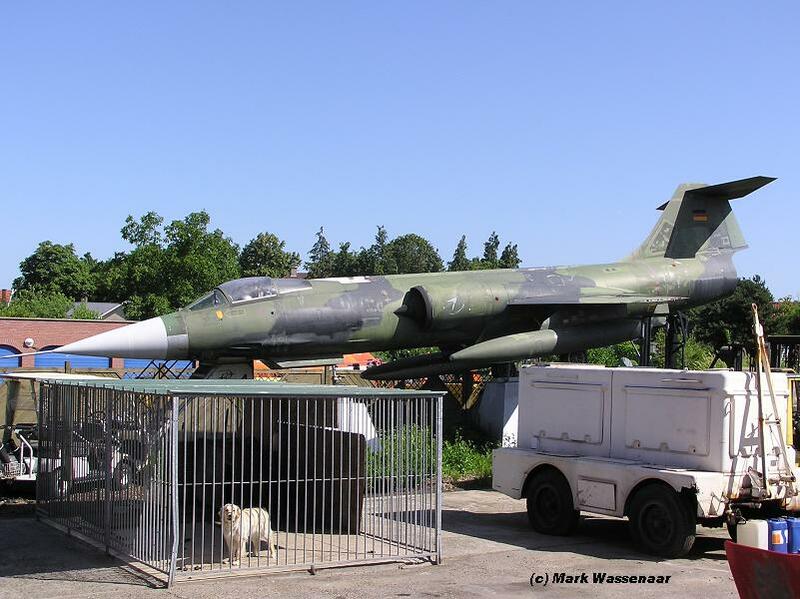 F-104G (c/n 9115) FX69, Belgium Air Force, private owned and being restored by Johan Bringmans, formerly located at Weeze Apt (Niederrhein) but now back (Gosselies??). 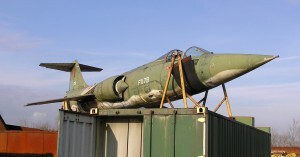 Tail from aircraft FX70. 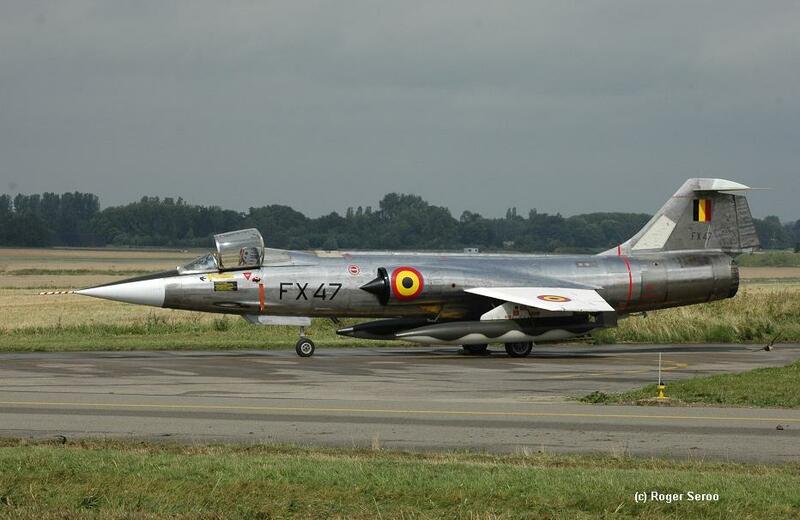 In spite any reports… the aircraft is still in Belgium being prepared to “slivers” aircraft by the owner. 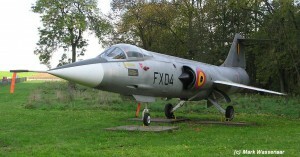 F-104G FX79 Beervelde on the fence of a metal trade company (www.degrootenv.be). 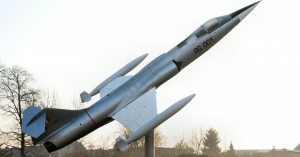 it can be seen along the E17 highway. 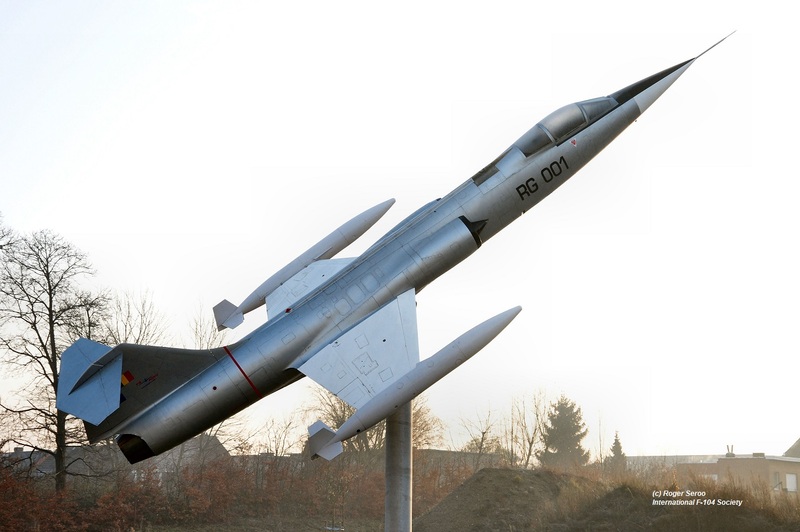 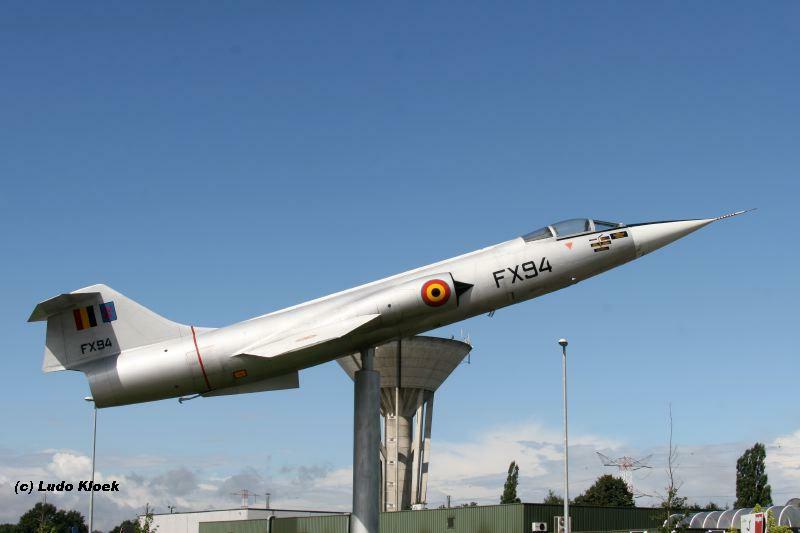 F-104G (c/n 9164) FX94, Belgium Air Force, preserved on a pole at the round-about at Peer, near Kleine Brogel Air Base. 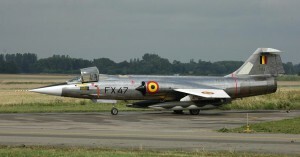 Aircraft in silver old 60s color scheme. 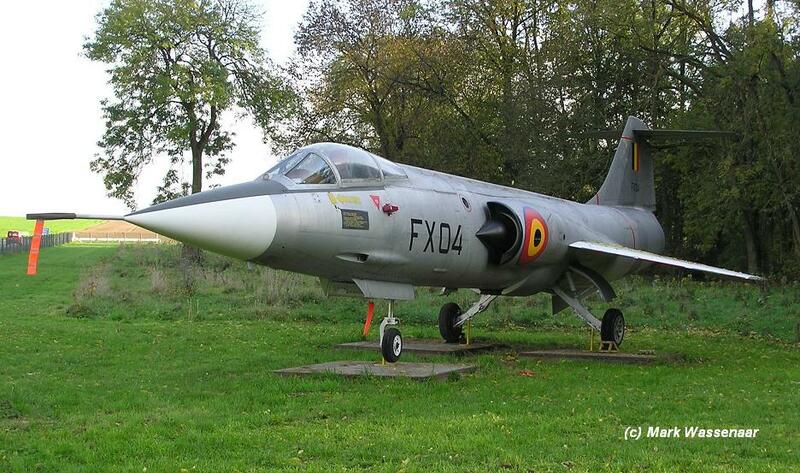 F-104G (c/n 9176) FX100, Belgium Air Force, can be found inside the Asco buildings in Sterrebeek, near Zaventem and is currently being restored. 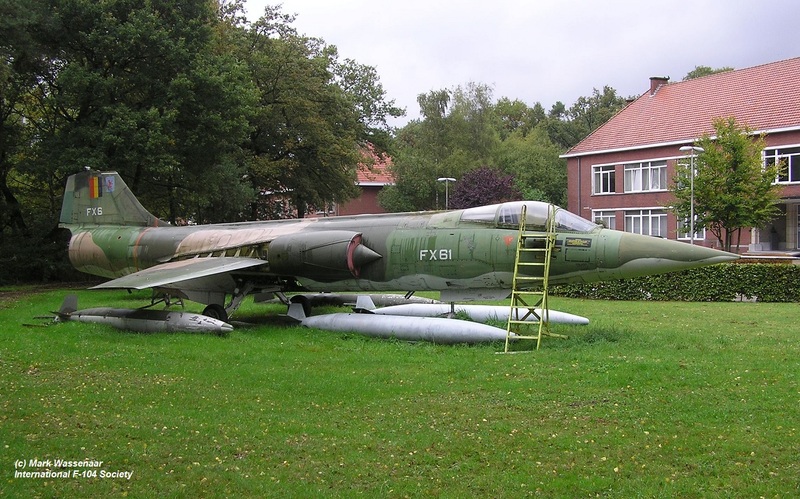 (The photo shows the aircraft still with its former owner, Radcomm, at Kampenbeek).